Is society encouraging obesity by normalizing plus-size culture? No matter who you are or what you weigh, you are a beautiful person inside and out. But a recent study suggests that the normalization of plus-size culture (think plus-size models) may be leading people to underestimate their weight and increasing their risk of obesity. 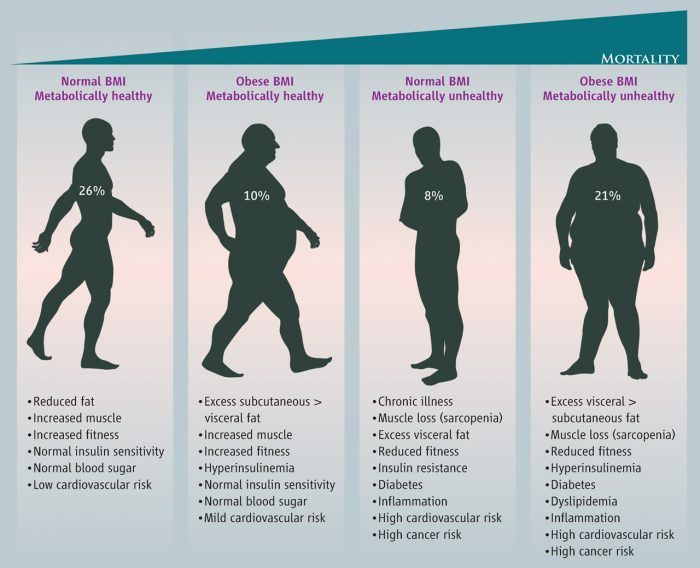 For the study, scientists examined almost 23,500 people who were overweight or obese and discovered that only 38.5% of men and 17.2% of women could accurately estimate their own weight. The number of overweight participants who underestimated their weight increased over time, from 48.4% to 57.9% in men, and from 24.5% to 30.6% in men, from 1997 to 2015. The number of obese men who underestimated their weight nearly doubled during that period, from 6.6% to 12%. People with less education and socioeconomic levels were more likely to misperceive their body size and misjudge their weight, according to the study, making them less likely to try and shed some pounds. In a news release, Raya Muttarak, the author of the study and a senior lecturer at the university’s School of International Development, said the findings could impact public health policies. Compared to whites, minorities were also more likely to underestimate their weight. However, they were more likely to try and slim down. Those who underestimated their weight were 85% less likely to try and lose weight compared to those who accurately judged their size. The authors said that men were more likely than women to round their weight down -38.8% compared to 16.8%. Just over 48% of men in the study tried to lose any weight, compared to just over 71% of women. Furthermore, participants who were overweight were far more likely to underestimate their weight (40.8%), compared to women (8.4%), and only about half of overweight participants tried to lose weight, compared to approximately 3/4 of obese individuals. One of the subjects touched on in the report is “vanity sizing,” a practice that occurs in both the U.K. and the U.S. in which clothing manufacturers label garments with smaller sizes than the actual cut.